The easiest and fastest way to accept payments from your customers directly in your bank account. 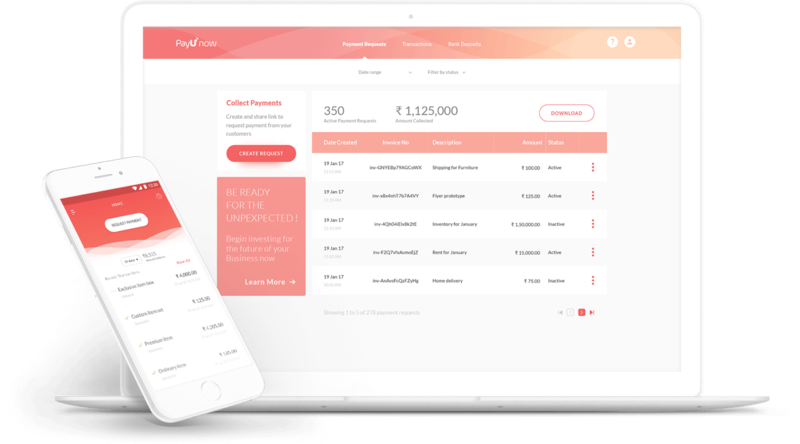 Create and share payment links with your customers from the PayUnow Web and App dashboards and accept payments directly in your bank account! Since these payment links are easily clickable, you can share them with your customers on WhatsApp, Facebook, SMS, Email and other chat applications. 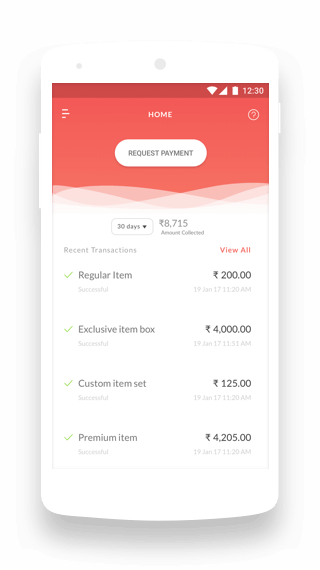 Your customers can pay you using Credit / Debit Card, Net Banking, UPI and even Wallets. 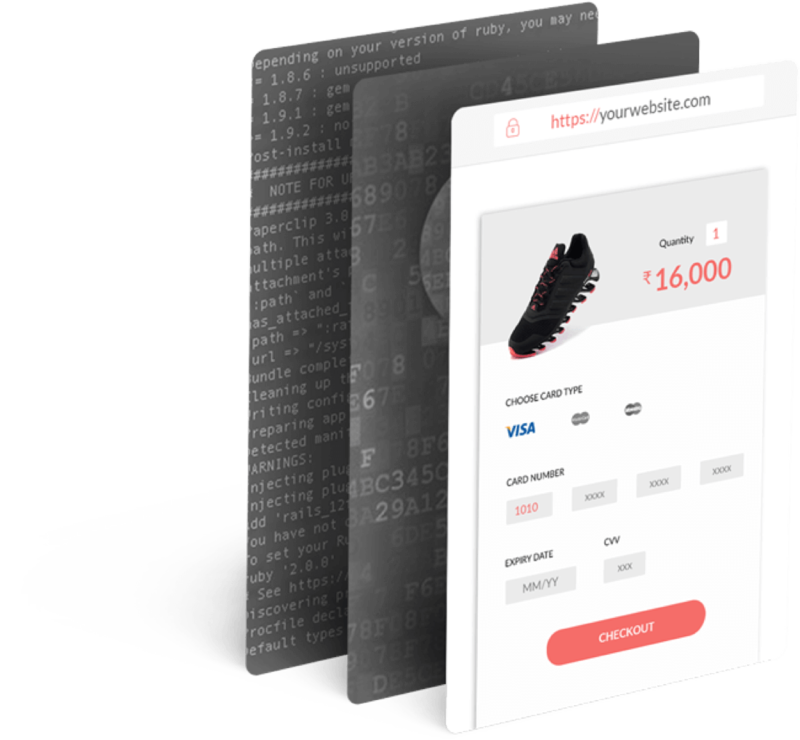 We protect every payment that happens on your website with international security standards of VISA, Mastercard, PCI DSS level 4 and deposit it to Bank secured with 128 bit SSL encryption and two factor authentication. We also apply 100+ risk rules for each payment so you can focus on your business and rely on us for data security. *Service tax as applicable. 3.00% for Amex card and Wallet payment. ?Do I need to courier/send any documents to PayUnow? ?When will I get my customers’ payments directly in my bank account? 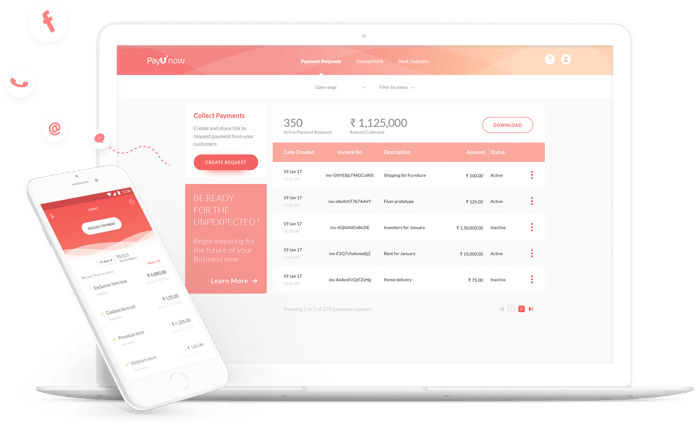 Once you complete the bank verification with PayUnow, you can accept all customer payments directly in your bank account. The payment will be automatically transferred to your bank account in 3 working days after your customer pays. ?How do I verify my bank account on PayUnow? Check your bank account statement for the small amount deposited by PayU Payments Pvt. Ltd. Enter the exact amount (in decimals) for verification.